Price, a former hitman, is struggling to cope with retirement. He left the assassination business to live the "easy life." However, retirement arrived with its own agenda. It was not the instant peace and calm that Price expected. Rather, it was emptiness, boredom, and, worst of all, restlessness. The Last Lullaby plummets Price back into his old life and forces him into a corner from which he may never escape. Price's old ways no longer work for him when his heart opens, and he finds life beyond his profession. The tension finally comes to a head as Price must decide to close himself off again or open himself up to a world beyond his control. 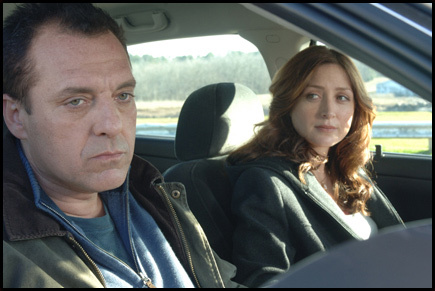 Tom Sizemore (Saving Private Ryan) and Sasha Alexander (NCIS) head the cast in this mystery-filled love story. "I guess Lullaby is a smattering of things I like," explains its director Jeffrey Goodman. "If I have combined them in a way that feels fresh I will be happy. There's a dose of playfulness from the French New Wave, a bit of slowness of some art films, the naturalistic style of early seventies American film, and a strong commitment to narrative taken from film noir. Yet, in all honesty, more than anything, I just wanted to get away from irony and cynicism and try to put something on screen that was sincere."